Okay, we fibbed a bit in our title. Our customers Georgia and Nick’s original kitchen wasn’t really from The Flintstones era. 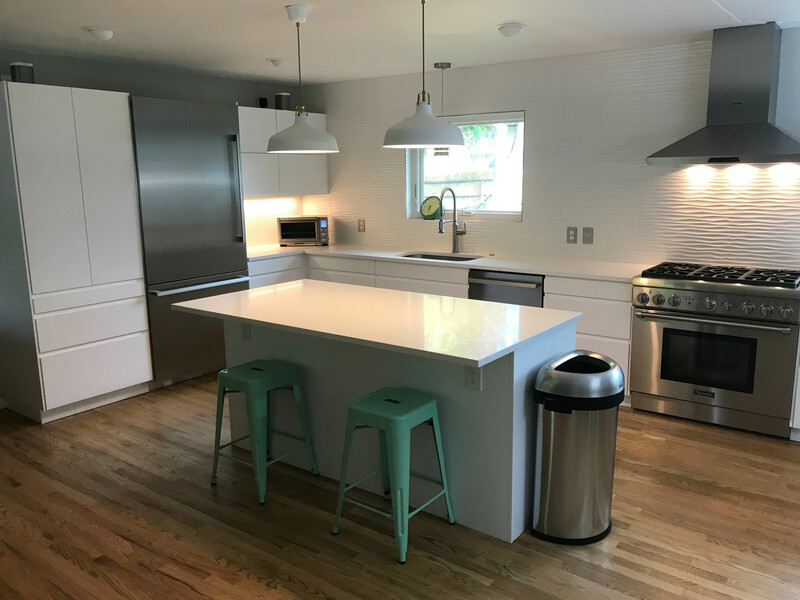 With its original 1955 metal cabinets and mint green backsplash, it certainly felt like it was from the Stone Age. Needless to say, the kitchen wasn’t exactly their style. The cabinets were also in bad shape (sorry, vintage kitchen lovers) and there wasn’t enough room for a serious chef like Georgia to get to work. Their modern IKEA kitchen is much more in step with The Jetsons don’t you think? (If only it came with Rosie Robot! )The flat-panel doors and high-end appliances are so much more European than before.